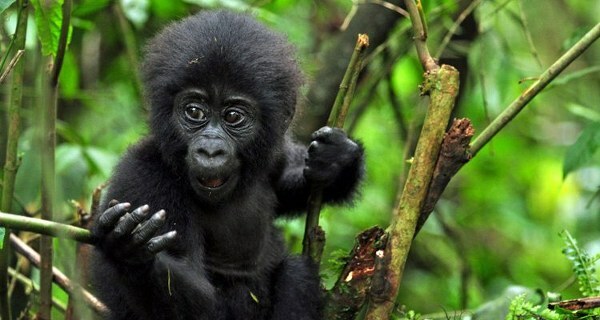 The 13 Days Gorilla Safari in Uganda Wildlife Tour starts and ends on Entebbe Uganda. The safari features impressive Uganda safari micro destinations talking you to Lake Mburo National Park with its Impala antelope, the topis, Burchell’s Zebras, Rothschild giraffes among others before continuing to explore the mountain gorilla habitat of Bwindi Impenetrable National Park, the Queen Elizabeth National Park with its impressive tree climbing lions along worth elephants, buffaloes, leopards, Nile crocodiles and Hippos, Kibale National Park dubbed he primate capital of the world with good counts of habituated chimpanzees, Murchison Falls National Park with impressive views of the falls, the Nile River, Jackson Hartebeest, the shoebill stork and eventually the Ziwa Rhino Sanctuary with its white Rhinos. Depart from Kampala after breakfast at your place of stay transferring to the south west of Uganda 240km about 3 – 4 hours’ drive excluding stops en route. You drive 77km and make a stop at the Uganda Equator crossing to encounter the world’s main latitude that divides it into the northern and southern hemispheres. It is a unique site for photography. If you wish, you can also perform water experiments justifying the geographical divide between these two spheres. 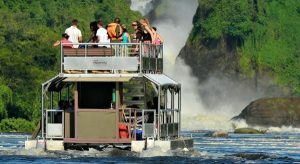 Continue on the drive to Lake Mburo National Park arriving in time for lunch after which you will slope to the lake jetty to embark on a thrilling boat cruise exploring the lake landscapes dotted with counts of Hippos and Nile crocodiles. Birds like African fish eagle can also be encountered on the trees close to the shore. Retire for overnight. Embark on the game walking activity after the sun rise exploring the savannah landscapes of the park that are greatly covered by acacia vegetation adjoining the grassland open plains and rock kopjes marking most of the hill tops. The walk offers you impressive wild game viewing including the Impala, Burchell’s Zebra, Eland, Buffaloes, Topis, Warthogs, bushbucks, waterbucks, Rothschild giraffes among others. The activity tends to last 3 – 4 hours after which you will return to the lodge for relaxation and lunch. In the afternoon, you will pay a visit to the surrounding Banyankole community and in particular the Enyemebwa center where a selection of beautiful Ankole long horned cattle are known to exist. You encounter the herdsmen herding them in the traditional rangelands of the Bahima pastoralists with his flute and amazing sounds that they have played for these cows for centuries past. You have a chance to participate in this experience. You proceed to visit their traditional homestead with its impressive architectural hut. They also have impressive art and craft not forgetting their traditional performances. Retreat in the evening for relaxation, dinner and overnight. Embark on the drive to Bwindi Impenetrable National Park further in the south west after breakfast. You drive past Igongo Cultural Center and Mbarara town and other countryside landscapes of southwestern Uganda. The hills of Ntungamo and the fascinating Kigezi highlands present remarkable views en route. Arrive in Bwindi in the evening for dinner and overnight. Accommodation: Chameleon Hill Lodge (Upmarket / Luxury), Gorilla Mist Camp (Midrange / Standard) or Broadbill Forest Camp (Budget / Luxury). Gather at the respective park headquarters for briefing at 8am after which you will head to the mist in search of the critically endangered mountain gorillas. The hills of Bwindi and its deep saddles are soaked by dense forest cover with mature trees and thick undergrowth that have earned it the Impenetrable name. Hiking through these landscapes is very impressive too and a rewarding experience of its own. The activity tends to last between 2 – 8 hours inclusive of one hour direct encounter with these ancient apes. You marvel at them as they forage and socialize. Your pictures are the memorabilia that you can always look at to refresh the memories of this unforgettable experience. Retreat from the activity and transfer to the lodge for relaxation. In the evening, you tour of the Batwa community. These are known to be among the last groups of the short surviving people in the world and they have impressive traditions and performances. Retire from the activity and relax the lodge for diner ad overnight. Following an early morning breakfast, connect to Kyambura gorge for a thrilling chimpanzee trekking experience. 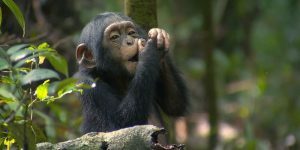 The chimp trek in the valley of Apes as it is popularly referred lasts about 2 – 5 hours inclusive of one hour direct encounter with these apes. You hike the impressive gorge slopes with lush forest cover that surprisingly thriving below the sea level. In fact, Kyambura gorge is 100m deep. Coming across the chimpanzees as they forage, munch fruit, make pant hooting calls and socialize is very rewarding. Retreat from the activity and embark on the transfer to the lodge for relaxation and lunch. In the afternoon, you connect to Maramagambo forest for an impressive forest hiking. You walk under the lush canopy of Maramagambo with counts of birds and amazing trees before approaching the amazing bat cave. After breakfast, embark on the transfer to Kyambura gorge for a thrilling chimpanzee trekking encounter. The 2 – 5 hour activity takes you through the steep forested gorge slopes which have lush mature tropical forest here thousands of bats thrice alongside python. You explore this from a well set viewing platform. Retreat from the activity and embark on the transfer to the lodge for relaxation and overnight. Transfer to Hoima after breakfast passing through impressive sceneries of Rwenzori Mountains, Fort Portal town, the rural landscapes of Kyenjojo and Kagadi before arriving in Hoima in early afternoon. You settle for lunch and short relaxation after you drive to Bunyoro Kingdom palace to visit the Royal tombs of the Kings of Bunyoro including the famous King Kabalega who is worldly known for haven resisted the British rule. 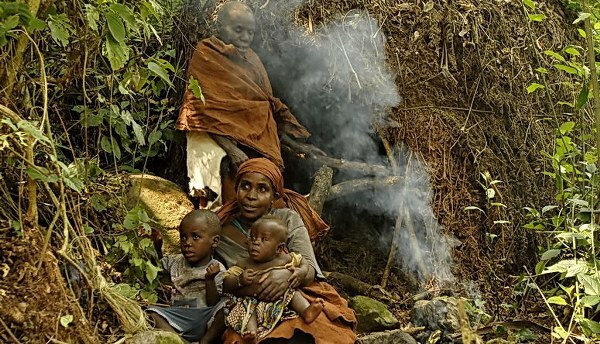 You also encounter the general heritage of the Banyoro people. Retreat from the activity for dinner and overnight. 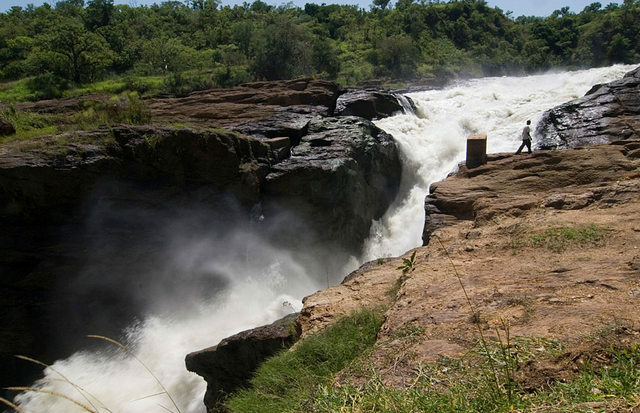 Embark on the transfer from Hoima to Murchison Falls National Park. You drive along the Albertine rift escarpment with impressive views of the area and Lake Albert. You enter the ark through the Bugungu gate and continue to visit the top of the falls. You marvel at the mystical Nile forcing its way through a less than 8m ravine before falling 43m below to what has been termed as the Devils Cauldron forming a plume of spray marked by thunderous roar and a trade mark rain bow. You retreat from this encounter and connect to the lodge for relaxation, dinner and overnight. Drive to the park’s northern section for a morning game drive offering impressive wild game viewing encounter. The 3 – 4 activity takes you through the designated park tracks including Buligi, Queen, Albert and the entire delta area with possibilities of encountering the lions, elephants, Rothschild giraffes, Leopards, Jackson’s Hartebeest, waterbucks, Oribis, Kobs among others. The open savannah grassland intercepted with scattered borasus palms also present a unique landscape worth viewing. Retreat from the activity and return to the lodge for relaxation and lunch after which you gather at Paraa jetty for afternoon boat cruise to the bottom of the falls. The 3 hour boat encounter opens you to the thrilling Nile waters in their relaxed flow as they join the Albert delta. The views of Hippos, Nile crocodile and shoebill stork might impress you along the adventure. Retreat from the activity and retreat to the lodge for relaxation, dinner and overnight. Transfer to Ziwa Rhino sanctuary in the south of Murchison Falls National Park after breakfast passing through Masindi town. You branch off from main road to Kampala at Nakitooma for 7km to Ziwa Sanctuary headquarters where upon arrival you will embark on a thrilling white rhino tracking encounter. The natural savannah thicket with enough grass to support these counts of Rhinos makes the trek rewarding. Retreat from the activity and relax the lodge and eventually dinner and overnight. Embark on the drive to Kampala after breakfast and eventually Entebbe International Airport for your flight departure back home. The drive through the flat landscapes of Nakasongora is rewarding too.